Details have emerged of a spirited battle for the control of Jubilee party ahead of 2022 drawing in Deputy President William Ruto, President Uhuru Kenyatta and Secretary General Raphael Tuju. Reports indicate that a team allied to DP Ruto has unsuccessfully fought to take control of the party from Tuju who remains a stumbling block to their quest. 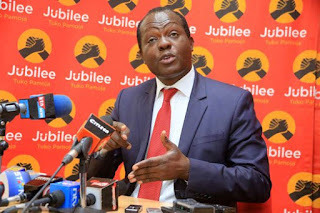 Tuju who is a close confidant of President Uhuru Kenyatta has been firmly in control and has the backing of President Uhuru Kenyatta and those opposed to DP Ruto's 2022 bid. 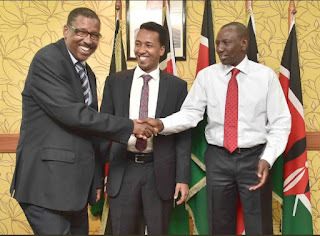 The Cabinet Secretary without a portfolio has on several occasions read from different scripts with Deputy President William Ruto with the DP’s allies accusing him of undermining the DP and demanding for his resignation on several occasions. Reports indicate that DP Ruto’s allies have unsuccessfully attempted to take control of the party from those perceived to be opposed to Ruto’s 2022 bid. The clearest indications of the tussle between DP Ruto and Tuju for the control of Jubilee surfaced this week after after Tuju issued a Jubilee statement on "setting the record straight" on ODM's withdrawal from the Wajir West poll. Media reports indicate that President Kenyatta personally sanctioned the statement read by Tuju, which saw Wajir governor Mohamed Abdi Mohamu an ally of the DP term Tuju's statement as deceitful and conmanship. As DP Ruto’s allies celebrated the deal, alleging it was struck by the DP, Tuju spoilt their party by clarifying that Elmi’s decision to withdraw from the poll was as a result of “high-level consultations between Raila Odinga and the president”. Elmi was received by none other than the DP himself with a section of the public terming it a blow for ODM until Tuju cleared the air. Tuju’s statement attracted a backlash from Wajir leaders led by Governor Mohamud Abdi who alleged that the deal that led to the withdrawal of the ODM candidate was sealed by DP Ruto. “We, as leaders from the region do not condone deceit and/or conmanship. The decision had nothing to do with the ODM party or any of its functionaries, as some would allege,” they stated. A section of DP Ruto’s allies led by National Assembly Majority Whip and Mumias East MP Benjamin Washiali slammed Tuju, calling for his resignation and accusing him of undermining the DP. "We should stop this bragging and chest-thumping about who negotiated it. Whoever did that was doing so on behalf of the party and nobody should claim credit. 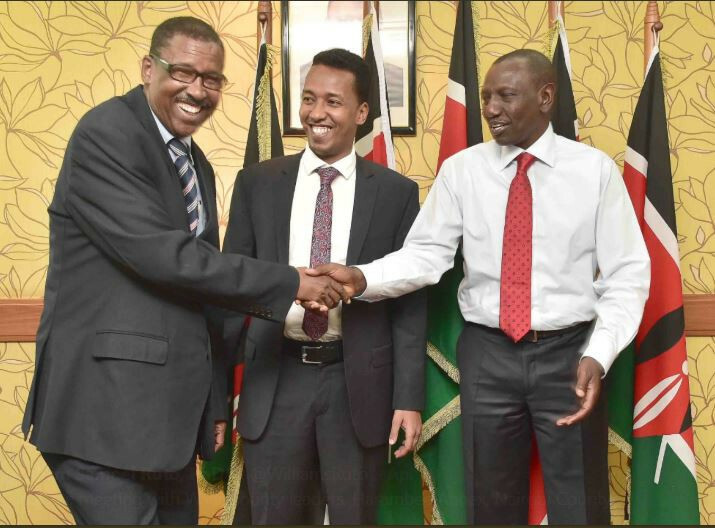 “It was actually the DP who reached out to this candidate and the leaders of Wajir to broker the deal. Raila had nothing to do with the consultations. The consultations were at the DP level," Washiali stated.